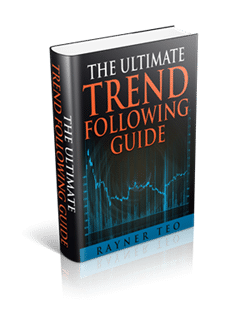 Click here to download The Ultimate Guide to Trend Following. If there’s anything, don’t hesitate to contact support@tradingwithrayner.com and we’ll be glad to help! P.S. I’m excited to announce TradingwithRayner is on Telegram! thank you Rayner you are my superb mentor i cannot watching your tutorial every day and learning fast . Thank you sooo much for the material! The video is not meant to download, but to watch on Youtube. i have been searching & learning from everywhere about technical analysis. suddenly, your video on you tube was like popping up on my screen..
u know what.. you are awesome GURU for me! Simple, Straight forward & Compact..
Glad to hear that! Don’t hesitate to let me know if you’ve got any questions, I’ll be glad to help. Your forex’s trading strategy and knowledge sharing on youtube was very awesome , I have found easy to digest with your clear logical & straight forward explanation . I like it very much ! I’m really to hear that. Don’t hesitate to let me know if you’ve got any questions, I’ll be glad to help. Thank you so very much for free downloading. The pleasure is mine, Khanyisa. The recordings will be sent to your email 24-48 hours after the event. Thanks so much, greatly appreciated. Don’t mention it, Julie. Cheers! Thank you so much for the free download. Also thanks for your weekly market analysis. Really appreciate and admired your effort. A Big Thank You from me. Cheers. The pleasure is mine. Awesome to hear you’re enjoying it! Thanks so much for the books.. Thanks Rayner! Watched a few of your videos! Great teacher man! Thanks for the books and I have watch some of your videos. The more I watch, I get confuse whether you are trading using Trend cos you recommend others Trending stratgies books beside your. Sorry, as I was trying hard to understand which time frames 15M, H1,H4, Daily or weekly you base to trade. Would very much love to follow some of your livetrade if possible to clearly see which time frames, TA, MA 20,50,100,200 you are using for trending. Most importantly, I really admired and saluted you for your selfness, effort, your times & explanation on the videos to teach strangers on the internet. That’s not all, you are not even charging a single cents and totally free. Many gurus in Singapore makes millions for all these courses they conducted and endup most of us are not getting back our ROI especially me who spend 20K on various courses and still bleeding. Put it simply, we are being conned. You are Awesome and very charitable in your teaching. Good blessings will come to you and family for your hard and charities works. Cheers! I focus mainly on daily and h1 for my trading. I use 20 & 50 MA if it makes sense to do so, and I try not to go against the trend on daily timeframe. I trade the 4-hour and daily timeframes. Thanks for the free downloads Rayner, as a newbie it helps me to understand trend trading even deeper. Awesome to hear that Puvan! Thank you Rayner … appreciate all the hard work you have done to put together this book and various other materials. I don’t use Facebook when everyone around me are so my question goes to how do I unlock the content? However I have shared links on Twitter though. Drop me an email and I’ll send them to you. I just happened to watch your youtube by coincidence today. I opened a live account in August after months of trading in demo.Your guides and tips are very logical and convincing. The issue is, what happen was after making continuously gains, I tried trading live and you know what my equity was start hitting down each time and whenever I tried again in demo, the trades took gains only.Please guide as my equity now is only 42% from the initial capital. Any advice/tips on how to accumulate back my initial capital.Now,it’s kinda of phobia and fearsome to even view the live account. There’s no quick fix to this. Get a trading plan and go back to demo to build confidence and an edge. Helo sir how can i download the materials?i havent received them as your video said sir? How to unlock the bonus? I have already shared the link in FB. Thank you Rayner.. Great e-book! Thanks Mr Rayner. I really like your materials because I found them are very helpful. Please I would like you to send me some videos because I’m new to trade. thank you so much mr rayner god bless you. Just click on the book image and you can access it. If you still can’t, drop me an email and I’ll send it over. My friend Reyner, Thanks for the self sacrifice of your time to individuals. That is a big gift because you are a busy man. Blessings. Harry West. I am so happy to know you as such a mentor and many thanks May.God bless you. The pleasure is mine, Shaikh. Hey Reyner your videos are always full of insight I wanted some advice do you think it’d be wise of me to take out a small loan to help fund my trading account? Then obviously pay back when I’m secured?… I need capital to start.. I’ve been studying trend following for the past 6 months and It works for me. I’d rather you get a job, save up, and fund your account. Just come across with your videos in youtube and find your it very interesting trading approach very interesting and easy to understand. Downloaded your Trend following book and started reading it and your explanation is very logical and sensible. Thank you for sharing your trading strategy for free and i will be watching and following your videos in youtube. Glad to have you around, Michael. Spare a thought for those of use that do not have or want social media accounts, please offer an alternative solution to down loads/special deals you offer. Feel free to email me and I’ll send it over. Thanks for Knowledge Sharing Books Trend & Price Action Trading. Sure just drop me an email mate. Many Thanks ..I only just saw your clip, Rayner… I already liking your vib….. you sounds like an Angel from Heaven coming to help us trading fellows ……… May God bless you endless joy, peace and love on this mother earth …….. I posted on Google+ but the bonus material did not unlock. Thanks for what you are doing for traders. Feel free to drop me an email and I’ll send em over. The market doesn’t trend all the time. You’ve got to put in the screen time and work on your trading plan. Hi, what brokers do you recommend for trading. I use XM currently, but it is only forex. Feel free to email me as I don’t talk about brokers publicly. thank you so much rayner for sharing your knowledge! more power to you! forex is very difficult to trade on a small account of $100. I heard that there are forex brokers that won’t refund your profits, how true is this? Thanks Rayner !~ I am learning how to trade as a beginner. This will be a good start! 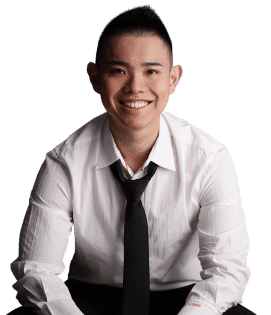 Hi Rayner, your trading videos on Youtube are packed with valuable info, very detailed and well explained – thanks for all the time and effort you put in. I don’t use Facebook, would you mind sending me the VIP content, that would be much appreciated! I am primarily focusing on the ASX200, and your analysis has been very helpful in uncommplicating trading for me. Many thanks for your generosity , Rayner . I look forward to enjoying your book! Please would you mind sending me your VIP content as I am not on FB. Sure, just drop me an email and I’ll send em over. You are a God send to help out traders like myself, and many others. just click the “facebook share” button. If you can’t get it, drop me an email and I’ll send em over. Light in the darkness. Thank you so much sir. I’ve watched 100s and 100s of hours worth of educational videos over the last year to try and get into trading and you are one of the best educators I have found. Your videos are great. I have decided I want to do your style of trading as a result. I’ve only had a demo account but now think I near to taking the plunge with real cash so could you please recommend to me the best broker to open a micro account with . I live in the UK. 1-Is it necessary that price should test and touch the MA for 2 times and then we place our position ? 2-Imagine you have bought the stock ; If the candle completly passes the 50 MA do you give up on that trade or u give it some time ? 1. The 2 test is to “confirm” that price is respecting that area of value. Sure just drop me an email and I’ll send them over. I got lazy and stopped documenting charts when trades were closed. A few weeks later I decided to visit those undocumented trades. WOW what a lesson. Now I always wait a week or more before marking up a screen print. Seeing what happened after the trade was closed really drives home what you are teaching about trends, areas of value, pull backs, etc. Glad to hear you had a revelation! Thanks so much Rayner. You are a true inspiration to your students. Thanks for sharing Mr Rayner. It’s very good stuff you are giving out here. Very helpful. More Power to you Man! I’m going to read this over and many times more. It helped me clear things out about using indicators and understanding just the price action. May you be blessed all the more, Thanks!!! Great quality material and very well presented. Just subscribed to your page. Can’t wait for the copy of The Ultimate Guide to PRICE ACTION TRADING!! Thank you Mr. Rayner. A Merry Christmas & A Happy New Year 2018. A very good good-morning to you this morning Mr. Rayner. The works you are doing online is very marvellous. And all these you are doing them for free is unheard of in the industry especially in a time where there are many ripoffs. Thank you very much and may God bless and replenish you always. Thank you so much for this Sir! A perfect guide for beginners like me. Start with the higher timeframes as it’s easier to manage your trades. Thank you so much for sharing your experience and knowledge. This means a lot for learners like me. Thank You Rayner, your generosity is unbound. God bless you more. Do you provide face to face classes? I would like to enrol for your classes.. I don’t offer any live classes. Everything is done online. Which local brokers are you using? Thanks. Your ideas are gems to the newbies. Thank u so much Sir Rayner! Good Day! Thanks a lot Sir Rayner. More power! thanks you bro… appreciate your sharing.. Thank You very much Rayner, Keep up the good work. Got your free book. Thank you for sharing Sir Rayner!! Thank you for the wonderful book/article, It helps me a lot. Thank you for the Price action knowledge it helps a lot. Thanks for sharing this material. how are you.Glad you have put this course on the internet. there is no one who guides so much information. i want to discuss something very important about trading in email. I’m not sure how I can help but you can email me. I focus on the forex and futures market. Thanks Ray for all your efforts at sharing your knowledge. It is much appreciated. I want to ask this question. If for instance, I’m following M15 trend using 20Ma, 50Ma and 200Ma and the price breaks through my 50Ma and I spot that for H1 or H4 the trend is respecting the 20Ma, will it be a good decision to not take profit or loss based on the M15 50Ma breakup and wait for the price to follow the trend given by the H1 or H4? Thank you for the free materials that you sent. They are very helpful and valuable. Drop me an email and I’ll send it over. Thank you Rayner, its a big help to a beginner like me. I’m a new trader.I came to know about forex trading just 1 month ago.I’m still trying on Demo account.I have been testing several videos on youtube and websites to learn forex techniques.you are the one who impressed me a lot.In fact you cover almost all of my doubts in your videos.Thanks for your services.I want to learn more.thanks again. I just started trading a month ago and it didn’t go so well, so with your help i hope i will be a profitable trader too, thanks a lot. There needs to be more people like you in this world. Can’t wait to be apart of your trading community. thank for your good materials, i need more of them. I’m a new trader. just start 1 month ago.I’m still trying on Demo account.I have been testing several videos on youtube and websites to learn forex techniques.you are the one who impressed me a lot. I would like to get the other one and the bonusses. You can sign up from my homepage and get it. Thank you somuch for the material! You can check out my youtube playlist “market analysis”. Thanks Rayner. Your techniques installed confidence in me to take the trades. Awesome to hear that, Ganesh. Thanks for giving up your time and knowledge to share with us , you make it very clear and easy to understand . I am so appreciated with your free download books and many of your guidings on Youtube. I have already finished reading your books about the following trade, but I can’t download The Ultimate Guide to Price Action Trading, can you help me? You can click the link above to download it. thank-you i will get in touch with you later! thanks a lot! It is a wonderful course about price action trading. Thank you so much sir Rayner. You can click the book image above to download. Or else, just shoot me an email. could not get email. tried to download other books but never got confirmation emails. i could understand what is . more than one month gone. i donot hate u. some misuderstanding is there. The link is above to download. Just shoot me an email if you can’t get it. You have a heart for other people’s life and can say Rayner Teo you are a superman and may God bless because you are doing good for other and remain with your loving heart. Thank you simplex, I appreciate it. Thank you rayner for the material, i must say you always put smile on my face with your introduction anytime i watch you. Nice, that made me smile too! The download link is right above. If you can’t find it then drop me an email. Hi buddy.Good job….now you need to offer some longterm signals!! I need the price action how do I get it? Click the book image above to download. Thanks for the download Rayner! thank you so much for ebook… youre the real superman. Thank you Rayner for this free material. 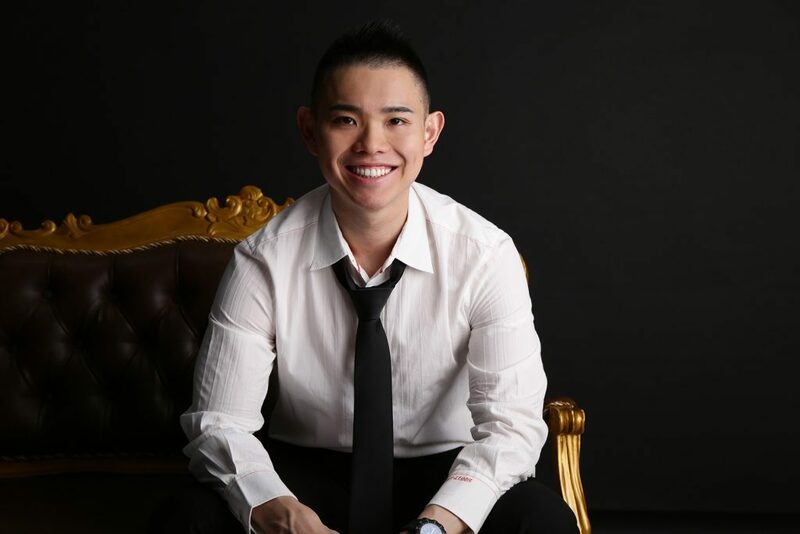 I watched bulk of video tutorial on forex, but you are the first that open my mind with very easy explanation. you have great heart to share your knowledge and experience to people that you never meet before. Rayner thanks for letting me join your email group. I am a new trader who is eager to learn. Cheers! You are awesome! Thank you for the knowledge. Thanks Sir Rayner for this Guide, a big help in my journey in PSE. May God bless you. Thanks .I could download.Very nice of you. This is absolutely interesting, Kudos to Rayner for your great work and knowledge to put all this together and make the world smile… Thanks and hope to meet you in person. Excellent it’s very easy to understand from this guide. Thank you so much…Rayner!! I do follow you regularly & do appreciate your teachings. Thank you very much, been very interested on trend trading. Hello mate,am new in forex,I love your presentation is really cool,am seriously looking for a coach and a mentor because i believe someone can’t be successful without one. Hopefully you can help me through. Thanks a lot. Have a read and let me know! thank you , dear tayner. thanx a mil Rayner God bless u more, for all this guidance. Just click the link above to download. I really appreciate this Rayner. More power to you. Thanks a lot! Hi Mr Rayner, Many Thanks for the material. Thank you Reyner! I am looking forward to read your material this weekend and edge up some more. I love all your contents on YouTube. The best out there in my opinion. Thanks dear for your study material. Big help. More powers to you! Thank you Rayner for the material. I am looking forward to read your materials every week. I love all your contents on YouTube. The best out there. Thanks!!! Thanks for educating new comers like us to survive in market.God bless you. Thank you my friend Rayner. Great help in learning trend following. More power to you. Hi Rayner, thank you for the material and your unconditional sharing/teaching of ideas. Your guide is my foundation in trading and always following you. Hey Rayner love your content it’s excellent my friend! 1 question what is 1 ATR for your stop loss? 1 time the average true range. You can do a quick search on “average true range” and I cover it in more details. Just click the link above to download the guide. Hi there. Thanks for the materias. Before I started watching your videos, i was on the verge of giving up trading. Then I subscribed to your channel and I regained my confidence. You are a good mentor. Thank you. I watched one video so far. Sounds authentic so far. Liked what I learned. See If I can implement it in the real world. I am curious to see what else I can learn from Rayner. I give him props for teaching others to elevate them. Thanks! I’m just about starting out in trading. But I figured I must acquire good knowledge before starting out, and you came handy for free. I’m so grateful. Rayner, God bless you real good.